U.S. 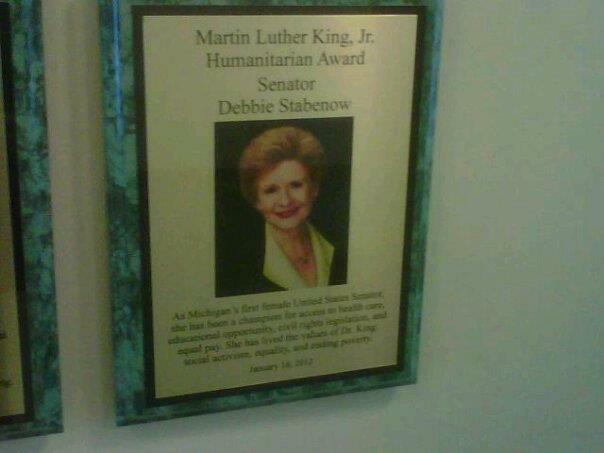 Senator Debbie Stabenow is a strong advocate of equal rights and civil justice in the State of Michigan. Her impeccable background in making a difference in the community inspires me greatly to be the change I wish to see in the world as a woman. 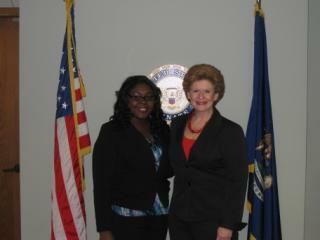 As her intern in 2011, I was inspired by her passion to fight for women in families at the Nation’s Capitol. Therefore, I nominated her in December 2011 for the EMU Humanitarian Award for her outstanding efforts. Shortly after she won the EMU Humanitarian on January 14, 2012. 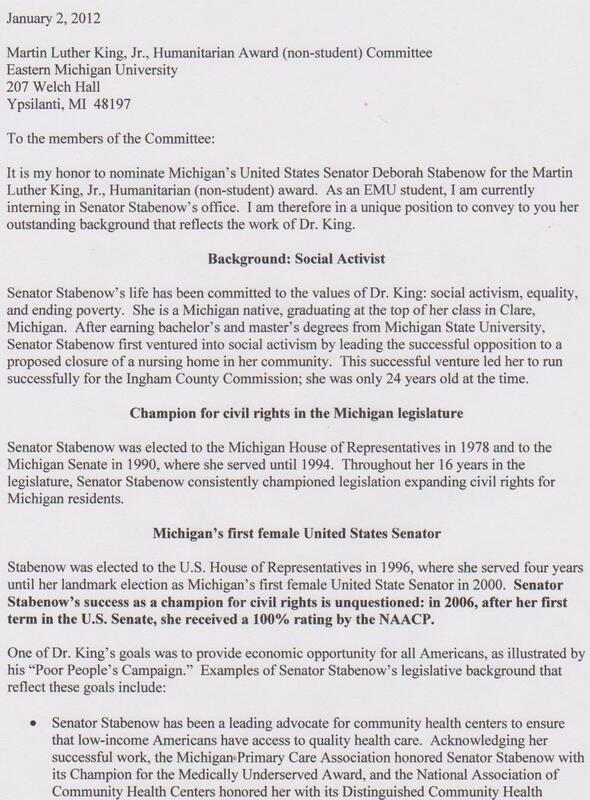 US Senator Stabenow is a positive role model for all women and it was a blessing to serve in such a capacity in her District office. 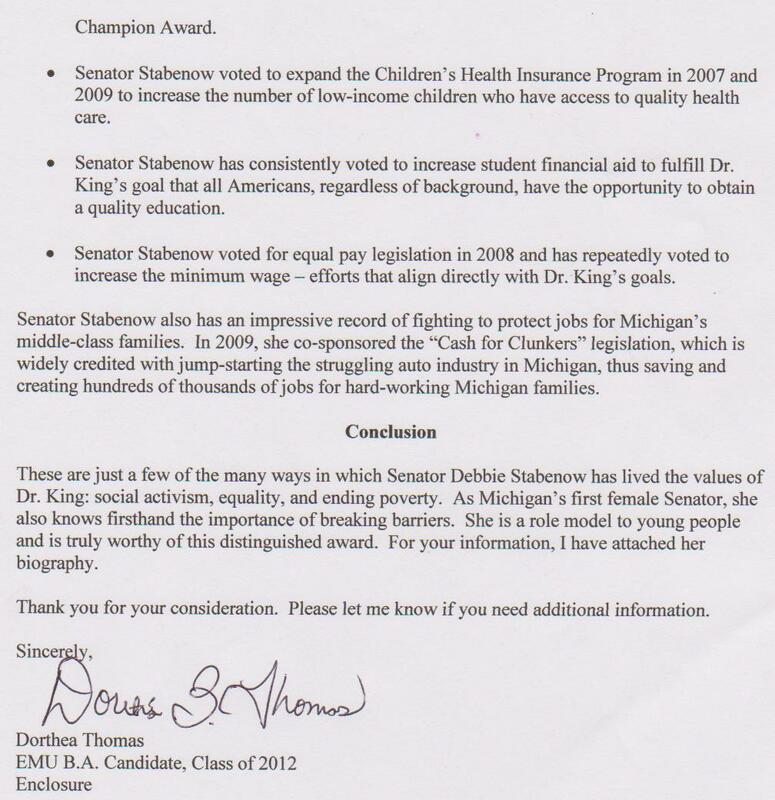 Posted on March 15, 2012 September 8, 2013 by missdortheaenriquePosted in AllTagged internships, stabenow, women in politics.